For many, the holiday season means taking long road trips and embarking on adventures to visit family and friends. While these experiences can certainly be memorable, they can also be costly. Long trips typically require frequent stops to fill up the gas tank, which puts a strain on your wallet, so many drivers look for ways to improve their car's mileage as a result. To help drivers pinpoint the best strategies for getting more bang for their buck, Shell reached out to Wayne Gerdes, a man who holds multiple World Records for the most fuel-efficient driving. Gerdes has a wealth of experience analyzing weather patterns and road conditions to get the most out of a vehicle, but he had tips that all motorists can use. "Smart driving is especially important during the holidays when we are on the road so much," Gerdes said. "… There are still easy steps you can take to improve mileage. It is a matter of planning ahead and being aware of what might negatively affect your fuel economy." Gerdes recommends using cruise control throughout the trip. Keeping a constant speed improves mileage, as can driving smoothly. Speeding, as well as fast acceleration or braking, can burn up gasoline at a considerable pace. Another factor that ties into this idea is maintaining a safe distance from other drivers. This allows you the room you need to brake and accelerate evenly, which can increase your efficiency. Whether you want to improve the mileage of your existing vehicle with basic maintenance or shop around for an efficient used car, you can find help at NJ State Auto Auction. There you can find hundreds of CARFAX-certified vehicles that could be your next investment, as well as the Total Car Care Center, which is able to address any maintenance issues you may have. Car loans are becoming an increasingly popular way to fit a used vehicle into a budget, but completing the procedure is still difficult for many drivers. Those who have never applied for an auto loan or are unfamiliar with the process of receiving one should know a few things about credit loan reports before they begin shopping around for a pre-owned vehicle. When you head into a dealer to shop around for a used car, you should be ready to fill out a credit application. Just as you will want to learn about prospective vehicles or the type of financing you could receive, the dealer wants to know more about you, so there's a good chance they will encourage you to complete a credit application. You shouldn't fill out an application if you are hesitant or have any reservations, but keep an open mind as you approach the process. Regardless of whether or not you are going to complete a credit application, you should know what to expect on your credit report. Your credit report will show your financial history, including how you have paid off past debts and the current loans you have to make payments on. The dealer will need this information to give you an accurate look at your financing options, but if you get a credit history beforehand, you won't be surprised by the results and you'll have a better grasp on the situation. If you have questions about the car-buying process, reach out to the Financing Department at NJ State Auto Auction. The experts on hand are able to figure out what payments you can work with and the type of loan you should be searching for, as well as provide guidance for getting pre-approved for loans. Millions of drivers are ready to hit the road for the holiday season, and many of them will be doing so without the aid of technological devices. Although it sometimes appears like every driver is looking up information on a smartphone, it turns out a significant number are still using traditional written directions to get around – shirking the latest technologies in the process. Mintel, a supplier of consumer intelligence, recently conducted a survey to see how drivers access directions when traveling to a new location. The poll found that 31 percent of motorists still use printed or written directions, while about 25 percent of drivers use their phones to navigate. Those surprising results may be partially attributed to the fact that many drivers do not want to engage in distracted driving. They are hesitant to spend time searching for information on a mobile device when they should be focusing on the road. However, this could be avoided by investing in a vehicle with advanced technology and smartphone integration, which make it easy to get directions and other information without losing sight of the road. "Gone are tactile controls and, in their stead, many automakers are now offering touchscreens with interactive controls that allow for much of the same functionality that one would find on a smartphone or tablet computer," said Colin Bird, an automotive analyst at Mintel. "These advances come at the right time, as drivers are looking for ways to reduce the distracting nature of the mobile phone while still having the convenience of their mobile devices on hand." Drivers who are ready to find a vehicle with more advanced technology should check out the selection at New Jersey State Auto Auction. That lot is home to hundreds of CARFAX-certified cars, trucks and vans, many of which have state-of-the-art features that can make driving easier and more fun. The latest news about auto loans has largely been positive for prospective drivers. Relaxed restrictions are allowing more subprime buyers to take advantage of financing tools, especially loans, as they strive to purchase a used car. In fact, the recent trends throughout the industry are lengthening loan terms and lowering monthly payments, which is helping many individuals meet deadlines and stay on top of their budget. With the availability of auto loans and decreasing monthly payments, more people are getting access to pre-owned vehicles. However, these individuals still have to pay off debts, and in many instances the extended loan period means they have to pay a considerable amount of interest. USA Today recently reported on the 10 cities in the U.S. where people owe the most money on their auto loans. The top city was Shreveport, La., where residents had an average of $18,603 left to be paid on their cars. New Orleans was No. 2, while Lafayette, La., was sixth – and those were just three of the six Southern areas on the list. Houston, Little Rock, Ark., and San Antonio rounded out the top five. Also ranked on the list, which was compiled using data from Manilla.com, was New York City. The Big Apple was seventh, as its residents owed an average of $16,566 on their auto loans. Future car buyers who need the help of auto loans to make a purchase shouldn't let the prospect of debt deter them from shopping around for a used car. At New Jersey State Auto Auction, you can browse through a selection of hundreds of CARFAX-certified vehicles while also receiving help from the financing department. They can assist you in applying for the car loans you may need. When drivers set out to shop for a car, they are usually drawn to options that fit their needs. That could include anything from shuttling around a family to completing heavy-duty construction, but no matter what, the vehicles typically have to come with features that allow owners to handle their responsibilities. For that reason, the most popular automobiles differ in all regions of the U.S., and some new research looked into which vehicles stand out from the rest. Business Insider asked Kelley Blue Book to collect data regarding the top-selling vehicles in each state. The results showed that people across the country have different tastes, and although many of the differences can be attributed to geography and lifestyle, there are some noticeable trends that come to the forefront. Although the Ford F-Series was the most popular option across much of the country, including in Pennsylvania and Delaware, things were a bit different in the Northeast. In New York and New Jersey, for example, the Honda Accord was the top-selling option. With hybrid editions, excellent fuel economy and an array of special features, the Accord is one of the most attractive sedans in the U.S.
Other states in the Northeast and the Mid-Atlantic had the Honda CR-V, Toyota Corolla and Toyota Camry as the top-selling vehicles. You can find the perfect used car for your needs at New Jersey State Auto Auction. The lot has hundreds of CARFAX-certified cars, vans and trucks, all from a variety of manufacturers and in a range of styles. Many of these options could be the perfect choice to meet your needs, so you may want to consider stopping by the auction lot to check out the selection. Preparing for winter involves much more than digging out heavy jackets. You also need to get your car ready for the colder months, and this typically goes beyond strapping on snow tires or investing in an ice scraper. One of the most important things drivers need to do in anticipation of the season is check their HVAC system, which controls the heating, ventilation and air conditioning. Although air conditioning may be low on your list of priorities as the temperature starts to fall, ensuring that the heating and ventilation systems are working at a high level is extremely important. For one, these tools are essential for maintaining your comfort as you drive. Being too hot or too cold while behind the wheel can be overly distracting and may cause you to lose focus on the road – something that could lead to dangerous situations. An HVAC system that isn't working properly may also be a sign of other internal issues or electric problems. To avoid encountering trouble with your HVAC system, get it checked by a professional. You should also be paying attention to related maintenance issues, such as checking the engine, replacing filters and other tasks. "The last thing any driver needs is a vehicle that breaks down in cold, harsh winter weather," said Rich White, executive director of the Car Care Council. "A vehicle check before the temperatures drop is a sensible way to avoid the inconvenience of being stranded out in the cold with the unexpected expense of emergency repairs." When there's an issue with your vehicle that needs to be addressed, take it into the Total Car Care Center at NJ Auto Auction. The garage caters to the public and can handle a variety of maintenance problems commonly associated with used cars. With many people expected to take to the roads during the week of Thanksgiving, staying safe behind the wheel becomes even more important. A large number of travelers road tripping to their destinations, coupled with potentially cold weather, could lead to collisions or dangerous breakdowns that leave motorists in hazardous situations. Luckily, there are a few ways drivers can prepare for the holiday rush, specifically with regard to their cars. The first thing drivers should do is take care of basic vehicle maintenance. Checking tire pressure and tread, charging the battery and refilling wiper fluid or even replacing the wipers are all good ideas. Not only can well-maintained wipers make it easier to drive, but they can also ensure you can stay safe and avoid collisions on the roads. Having clear visibility, efficient brakes and other high-quality parts of a car can cut down on the dangers of accidents and improve your odds of reaching your destination without a problem. "Learning how to handle common maintenance issues is beneficial to anyone who gets behind the wheel," said John Nielsen, managing director of AAA Automotive Engineering and Repair. "Proper maintenance can extend the life of your vehicle and help prevent costly repairs." Additionally, drivers should also ensure that any outstanding repairs are cared for. Issues that have been put off could have worsened over time, putting everyone on the road in danger. Let a professional check over these problems and fix anything that may be harmful to the operation of a vehicle. Anyone who is concerned about their vehicle during the holiday season should make their way to New Jersey Auto Auction. There they will find the Total Car Care Center, a garage catering to the public that is capable of addressing any issues you may have. Thanksgiving is just around the corner, and while many Americans are likely excited for family gatherings and delicious feasts, they should be ready to encounter some congestion on the roads. The latest study from INRIX, the traffic tracking firm, found that driving this Thanksgiving is expected to rise compared to last year. USA Today reported that road travel for the November holiday will increase by 3 percent compared to 2012. Most of this traffic will be on the Wednesday before, which is largely known as the "getaway day" for travelers. Lower gas prices have encouraged many to get behind the wheel, especially because many experts predict the entire Thanksgiving week will see the lowest fuel costs since before 2010. AAA found that the average cost of gas in the U.S. was $3.20 per gallon, and in many areas it has fallen below $3. "What we've been seeing this spring and summer is congestion levels up about 6 percent on average, month over month," said Jim Bak, director of community relations for INRIX, as quoted by USA Today. "Over the last couple of months, we saw things tail off a little bit. So we expect holiday congestion to be up about 3 percent over last year. If gas prices weren't as low as they are, things probably would have been flat compared to last year. With the low gas prices, people have more incentive to travel." If you need a vehicle that will get you to your destination safely, check out the selection at NJ State Auto Auction. Not only does the lot have hundreds of CARFAX-certified used cars to choose from, but it also has a Total Car Care Center that is capable of addressing any issues you may have regarding one of your own automobiles. Drivers shopping around for a used car are typically on the lookout for value. Finding options with great features at a manageable price is of the utmost importance for motorists, especially those who are on a budget. That is why some organizations go above and beyond to look at qualities like price and ownership experience to determine which automobiles offer the best value to drivers. Strategic Vision did just that, and it recently released the winners of its Total Value Awards. These accolades were created to honor those vehicles that provide drivers with the most bang for their buck, and for the first time in the 18 years of the study, Hyundai came out on top. The brand was acknowledged as one of the best for its combination of reliability, durability, fuel economy and pricing. A few specific models stood out for the Asian brand. Specifically, the Hyundai Equus took the lead among luxury cars, while the Sonata, Genesis Coupe and Elantra also claimed the 'Most Valuable' title for each of their respective segments. Although other brands like Chevrolet and Ford also landed on the list with certain vehicles, none of those automakers had the same impact as Hyundai. "Hyundai continues to offer customers the highest-quality products, packed with premium technologies and best-in-class safety features," said Mike O'Brien, a vice president at Hyundai Motor America. "Awards like this from Strategic Vision reflect our hard work and commitment to customer satisfaction and value." Whether you're looking for a used Hyundai or any other vehicle with excellent value, you should head to NJ State Auto Auction. The lot is home to hundreds of CARFAX-certified cars, trucks and vans, all of which combine affordable prices with attractive features. Pickup trucks are among the most popular vehicles in the U.S., both for new and used car purchases. However, it can be difficult to know what to expect when shopping around for a used truck, especially if you have never owned one before. Here are a few tips for navigating this difficult stretch and land the pickup on your dreams. One important factor to keep in mind is that pickup trucks vary just as much as smaller, compact cars. Researching your multiple options ahead of time is essential, as it will provide you with a frame of reference while you shop around. Part of the beauty of pickup trucks is that they can be used for a wide variety of purposes, so if you want machines that will allow you to go off-roading or complete some heavy-duty work, you'll likely be looking at different vehicles than normal, everyday drivers. Another aspect to keep in mind is that the pickup may have had a specific use in the past, so a thorough examination is required to ensure everything is in working order. Examine the underside of the vehicle and survey the equipment there. After all, any machine that has been used in rough conditions or terrain may have wear and tear you should be aware of. As you are checking these areas, be sure to take a look at the body paneling. All of the seams and hinges should be smooth, and you need to keep an eye out for rusted sections or dents that could impact the function of the truck. Drivers who are looking to invest in a used truck should consider heading to NJ State Auto Auction to check out the selection. The lot has hundreds of CARFAX-certified vehicles, many of which are pickup trucks that could be an excellent choice for your next investment. The time is right for drivers to shop around for great deals on used cars for sale. While competition in the market has been tight for several years, resulting in extra expenses for drivers, the landscape is quickly changing – a fact that opens up many opportunities for prospective buyers. Numerous recent reports have found that the average used car price is dropping. This is welcome news for many, especially after several years of rising costs, and it could be just what some drivers need to get behind the wheel of the right pre-owned vehicle. According to Edmunds.com, the average cost of a used car fell by 2.8 percent in the third quarter of 2013 compared to the second, and prices were almost 1 percent less than at this time last year. "Buyers are no longer drawn to used cars the way they have been in recent years," said Joe Spina, the director of used car analysis for Edmunds.com. "Used car prices will likely continue to decline in the coming months simply because there will be more of these vehicles sitting on dealer lots." These lower prices, combined with the fact that auto loans are easier for many subprime buyers to get, and you have an excellent environment for purchasing a used car. You can take advantage of crowds clearing out from some used car lots. Less interest from other drivers means the conditions are perfect for finding some great deals, especially at reliable spots like New Jersey State Auto Auction. Although this lot consistently offers reliable, CARFAX-certified used cars at reasonable prices, you may be able to tweak financing offers and other details of the purchase to better fit your needs. Traveling is a necessary part of the holidays for many, but it also has the potential to be among the most dreaded aspects of the season. Uncomfortable flights, long delays and hectic security screenings create a nightmarish scenario at airports, and with the cost of airfare skyrocketing, travelers are looking for other ways to reach their destinations this year. The combination of high ticket prices and inconvenience may cause many travelers to consider taking a road trip. According to The Wall Street Journal, the average price of tickets for domestic flights during the week of Thanksgiving is up 9.4 percent compared to the same time last year, and although Christmas is still weeks away, flight expenses for that week have also increased 7.3 percent. These costs only look to keep rising, motivating many to mull over the possibility of driving to their destination. "With no relief in sight for escalating airfares and gas prices dropping below $3 per gallon in some parts of the country, more and more travelers are realizing the economic and hassle-free benefits of driving to their holiday destination," said Rich White, executive director of the Car Care Council. "Going by car offers a number of advantages over flying, and since a family of four can travel 1,000 miles round-trip by car for about the cost of one airline ticket, driving is the sensible option." Fewer expenses are just one of the advantages driving has over flying, according to the Car Care Council. Driving is a more comfortable alternative, as there is more legroom and general space for passengers, and it also allows travelers to create their own schedule. Avoiding long lines and inevitable delays at the airport could also save time in the long run. Having a safe, efficient vehicle is necessary for anyone taking a road trip. New Jersey State Auto Auction has hundreds of viable options drivers can choose from, and these CARFAX-certified used cars can help travelers save money this holiday season. It has been more than one year since Superstorm Sandy devastated the Northeast, but the effects of the hurricane are still being felt – especially on the roads. That is because a number of vehicles damaged by the storm and subsequent flooding have been passed off as high-quality and sold to unsuspecting drivers all around the U.S. While these automobiles may look fine, they often have extensive damage under the hood and within the frame, and those issues often rear their head after a short amount of time with a new owner. These problems can be a hassle, but there are a few things drivers can look out for to avoid purchasing a flood-damaged car. "Flood-damaged cars end up going places where consumers don't suspect it," Larry Gamache, CARFAX's communications director, told Edmunds.com. "But as con men get smarter, we get smarter on how we deter it." First, prospective buyers should be sure to check the car's undercarriage. Any signs or rust or flaking metal that appears out of place may be a warning sign. Similarly, if the carpet or upholstery is discolored, it could be an omen of flood damage. Drivers should also examine the headlights and taillights for foggy buildup on the interior, and the engine compartment and trunk should also be checked for water lines or other giveaways. Another quality that may be a red flag is any unusual odors. A musty or moldy smell could be indicative of mildew in hidden areas of the vehicle. If there is an overwhelming scent of bleach, cleaner or air freshener, it could be a way of masking some kind of odor, so pay extra attention in those situations as well. One of the easiest ways to avoid cars that have been damaged by floods or water is to shop at an auction lot you trust. Places such as NJ State Auto are ideal, as it carried CARFAX-certified vehicles that are both reliable and affordable. By now, many motorists are well aware of the advantages that winter or snow tires bring to the table. These tools are made for cold conditions and offer a variety of benefits for drivers, but they must be cared for properly to maintain their qualities throughout harsh weather. "Every aspect of a winter tire has been engineered to provide the best performance in winter conditions and temperature fluctuations, while maintaining traction on any surface," said Mark Marrufo of Discount Tire. "The winter tire advantage will maximize your safety and provide peace of mind during the winter months." Once a driver has made the switch to winter tires from standard all-season wheels – an action that should happen as soon as temperatures dip below 45 degrees – they need to start caring for them. That begins with making sure the wheels themselves are fit to handle winter tires and referring to an owner's manual for specific instructions about installation. The manual can also provide insight as to the tires' optimal air pressure. Under- or over-inflating tires can lead to uneven traction or safety concerns, so it is best to regularly measure these levels and refill to the proper pressure. Drivers should also take steps to continue normal tire maintenance. Tire rotation and wheel alignment are necessary parts of vehicle care, and if they are ignored it may negatively affect the tires themselves. Be sure to take care of these issues at the standard intervals, even if you have just recently switched to winter tires. Any drivers who prioritizes their safety will want to make sure their vehicle is ready for winter. If not, it may be time to visit New Jersey Auto Auction. Not only does the lot have hundreds of CARFAX-certified used cars, trucks and vans, but it also boasts the Total Car Care Center, which can address any maintenance issues you may have with an existing model. Some drivers may be drawn to hybrids or electric vehicles because of the benefits they offer to the environment. However, used cars may actually pose equal or better advantages to the planet – and to their drivers' wallets. Although alternative-fuel vehicles offer zero emissions on the roads, they still need to be manufactured and produced in traditional factories. That, combined with the energy required to charge batteries, means they are still impacting the environment, The Wall Street Journal reported. 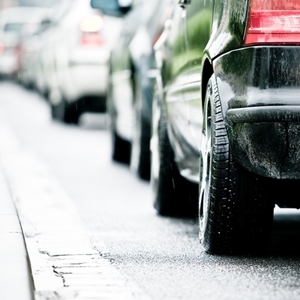 Eco-friendly cars have a different effect than standard vehicles, but the consequences exist. That also means that purchasing used cars for sale – therefore reusing already existing vehicles – could be beneficial because it cuts down on auto production. Used cars may also save drivers money. Hybrids and electric cars provide motorists with savings at the pump, but their initial costs may be much greater than those of pre-owned vehicles. Drivers who want to save money should instead consider what they could save by getting behind the wheel of a fuel-efficient used car. These options are an economical choice for many, as they get great mileage without the high upfront expenses associated with new cars. If you're looking for a used car that won't put a major dent in your wallet, head to NJ State Auto Auction. Not only is the lot home to hundreds of CARFAX-certified cars, trucks and vans that could be a great investment, but the facility also has financing services and specials that can help cut down on the price. It also boasts its own maintenance service, the Total Car Care Center, which keeps all vehicles in prime condition so they can achieve optimum efficiency. Used cars can be expensive, but recent good news regarding auto loans may make purchases easier for all kinds of buyers. Experian Automotive released its latest State of Automotive Finance Market report, and the data collected showed that more people are taking out car loans and fewer are defaulting on them. According to the report, 30-day auto loan delinquencies decreased 3.4 percent during the third quarter of 2013 compared to the same time last year. This drop comes as loan balances grow. Outstanding balances jumped by $103 billion in the past year, bringing the total amount of debt to be repaid to $782.9 billion. Although that may seem like a large sum, it is indicative of more individuals being granted larger loans, which is a good sign for subprime buyers who may have struggled with their finances in the past. "The combination of higher loan balances and relatively flat loan delinquencies is good news for everyone connected to the automotive industry, including consumers, lenders, retailers and manufacturers," said Melinda Zabritski, a senior director at Experian Automotive. "The availability of credit, combined with consumers' continued strong performance repaying their loans, has a positive spiral effect. It allows lenders to slowly but surely take on additional risk while providing more access to loans and paving the way for higher auto sales." With loans becoming more obtainable for all individuals, more people may begin looking into the possibility of investing in used cars. Anyone interested in buying a used car but needs help budgeting should reach out to the Financing Department at New Jersey State Auto Auction. Not only can you browse through the collection of CARFAX-certified vehicles on the lot, but you can also get advice and guidance regarding auto loans and financing options. In today's world, many drivers are looking for ways to save, and that includes browsing through used cars for sale that offer the best possible fuel efficiency. A lot of these vehicles may feature diesel engines instead of ones fueled by gasoline, as the alternative power source provides a money-saving, eco-friendly option that many prospective buyers will find attractive. However, not as many drivers have gotten the chance to test out these cars. Recently, Honeywell Turbo Technologies conducted a survey to see how much experience American drivers had with these vehicles. Results showed that 70 percent of motorists have never driven a diesel-powered car. In addition, as many as 73 percent of Millennials, or those drivers under the age of 35, had not gotten behind the vehicle of one of these vehicles. Those numbers are surprising, especially considering the fact that more than half of adults knew that diesel engines could produce more power and offer better fuel efficiency than traditional gasoline engines. "Turbocharged diesel engines have an opportunity to make an impact with today's younger car buyers who understand and even prioritize the fuel economy advantages of the technology, but have not yet been able to drive one," said Terrence Hahn, Honeywell's president and CEO. "Turbodiesels and downsized turbocharged gasoline engines provide both automakers and consumers a no-compromise solution of greater fuel economy and performance with the added benefit of being more environmentally friendly." Whether you're searching for used cars with excellent fuel efficiency, impressive power or all of the above, you may be able to find what you're looking for at NJ State Auto Auction. The lot has hundreds of CARFAX-certified cars, trucks and vans for sale, and any one them may prove to be a solid option for your next investment. Fuel efficiency is one of the most important qualities that drivers look for in a future vehicle. In recent years, the high price of gas caused many motorists to turn to electric or hybrid vehicles as well as smaller, compact sedans that offer great mileage. However, experts predict that the average cost of fuel could drop to below $3 per gallon by the end of the year, providing plenty of relief for all drivers. CNBC reported that gas prices are already at the lowest mark of the year for much of the country. Approximately 35 states have stations will costs under $3 per gallon, with these establishments representing about 15 percent of all gas pumps in the U.S., according to data from AAA. The lower prices are largely due to an abundance of gasoline around the country. This should last for several months, which could encourage prospective buyers to look around for car models that offer a wider range of fuel economy. Instead of smaller vehicles, many of these drivers could turn to SUVs, pickup trucks and other large automobiles in the near future. "There's little demand in the fourth quarter and plenty of supply out there," Anthony Grizanti, a trader from GRZ Energy, told CNBC. "Fundamentals have finally taken center stage. … Prices probably won't start to rise again until Valentine's Day as we anticipate the spring and summer driving season of 2014. But for now, this market is very well supplied." As gas prices continue to drop, drivers may be able to consider purchasing different types of used cars than what has been popular in the past few years. At New Jersey State Auto Auction, motorists can browse through hundreds of CARFAX-certified cars, truck and vans that could be a great option for their next ride.